Going to university as an independent student can be an intimidating process if you are estranged from your parents. The following guide will give you information about how your Student Finance application is assessed as an estranged student. It will tell you about the supporting documents that you will need to send to Student Finance England, Wales and Northern Ireland to confirm your irreconcilable estrangement from your family. This guide has been put together in collaboration and consultation with Student Loans Company Ltd.
How do Student Finance England, Wales and Northern Ireland process my application? Who can apply for independent status? Am I ‘irreconcilably estranged’ from my parents? What supporting statements do I need to provide to show I am ‘irreconcilably estranged’ from my parents? What happens if I didn’t tell anyone about the difficulties in my past or my estrangement? Do I qualify as a care leaver? What happens if it’s not practical to contact my parents? Student Finance normally assesses how much money you are entitled to by looking to the household income of your biological or adoptive parents or your only living parent. This figure is used to determine their capacity to financially support you through your studies, and how much they should contribute to your studies. If you live with another relative who supports you financially, like a grandparent, you would still be expected to ask your biological or adoptive parents to provide their financial information for income assessment. If you consider yourself estranged from your parents, it may not be possible or safe to ask your parents for their income details. Therefore, Student Finance have allowed exceptions to this practice for independent students, who are awarded full financial support without assessing the income of their parents. If you are irreconcilably estranged from both of your biological or adoptive parents or only living parent, you can ask to be assessed as an independent student and assessed on your own household income. 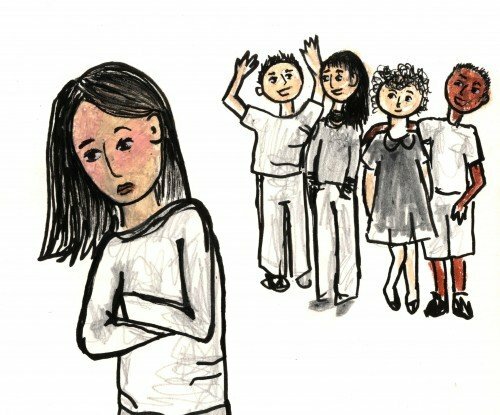 You are eligible to be considered for independence on the basis of being estranged from your parents if you have not had verbal or written contact with both of your biological, adoptive parents or your only living parent for a significant period of time and your estrangement is irreconcilable. If you have supported yourself financially for a total of thirty six months prior to the start of your course, you can apply to be assessed as an independent student on the grounds of self-support. These months do not have to be consecutive, but you must show you have been earning a sufficient amount to be financially independent. If you have been in local authority care for at least three months after your sixteenth birthday, and are irreconcilably estranged from your parents, you are entitled to be considered as a care leaver and awarded independent status. If you don’t know the location of your parents, or they are in a country where it is considered dangerous for you to contact them, you may be awarded independent status. If your parent has a significant mental health problem or health issue that would make it impractical or dangerous for you to contact them, you may also be awarded independent status on these grounds. If you are 25 years old on the first day of the academic year; you are married or in a civil partnership or have been married or in a civil partnership in the past but are now separated; you have a child or dependent or both of your biological or adoptive parents are deceased. Student Finance England, Wales and Northern Ireland require supporting statements from trusted independent parties as evidence to confirm your position. They ask for independent verification of your position to prevent students who do have a supportive family from fraudulently claiming more money than they are entitled. Student Finance England, Wales and Northern Ireland request that you submit as many supporting statements as is possible to help build a picture of your family estrangement and/or independent life. There are more details of who you might ask to provide supporting statements later in this guide. If you are applying for independent status on the grounds that you are irreconcilably estranged from parents, you may be expected to supply statements for each year that you apply for support from Student Finance England or Wales. If you are a self-supporting independent student, a care leaver, or both of your parents are deceased you won’t be asked to supply further supporting statements each year you apply for support. If it is not practical to contact your parents you will be asked to supply further supporting statements for each year that you apply for support. Student Finance England, Wales and Northern Ireland assesses all applications for independent status on a case-by-case basis. They will use their discretion to decide if you have sent enough supporting statements to prove your circumstances, and you may need to provide more statements in order to clarify aspects of your estrangement or financial independence. Case-by-case means that a student finance assessor will look at your application and decide if there is sufficient supporting evidence to award independent status. There are guidelines on the supporting statements that you can send for each independent category, but these are not comprehensive or exhaustive. There can be exceptions made to these guidelines where Student Finance operatives see it appropriate. It is wise to supply as many supporting statements as is possible to give Student Finance the best chance of understanding your circumstances. Remember: proving estrangement from your biological parents is rarely completely straightforward. However, you should never resort to seeking out statements or information that would lead to harm for your mental or physical health. If your situation is sensitive, and you are struggling to provide evidence, you can find support from our dedicated contact at your current or first choice institution here. You are eligible to be considered for independence on the basis of being ‘irreconcilably estranged from your parents’ if you have not had verbal or written contact with both of your biological, adoptive parents or your only living parent for a significant period of time and this will not change. A significant period of time is usually considered twelve months or longer prior to the start of your course, but this can also depend on your circumstances. Many people feel unsupported by their parents financially and/ or emotionally, but you won’t be eligible to claim estranged status simply because your parents are on low income and don’t support you financially. You will need to provide statements from an independent person with good standing in the community that can verify that there has been no communication with both of your biological or adoptive parents, or only living parent, for a substantial period of time before the start of your course, and that your estrangement from them is irreconcilable. You won’t be able to claim independent status because your parents do not want to give details of their income or refuse to provide financial support to you. 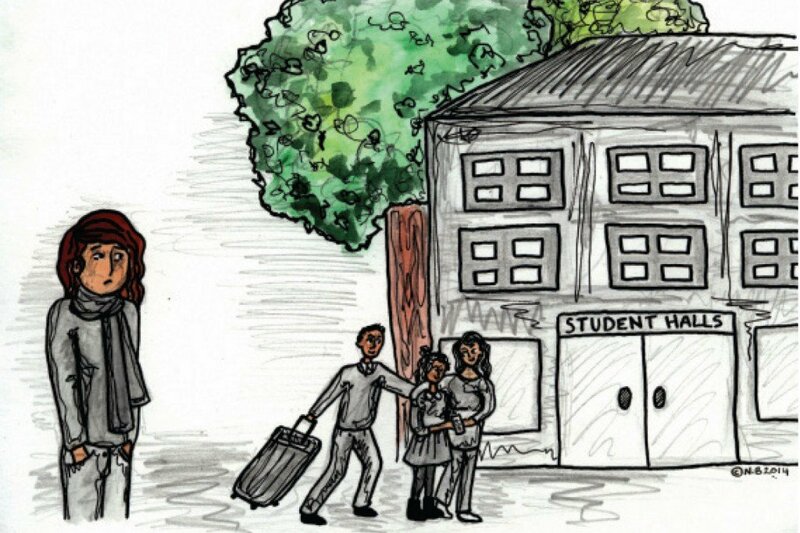 Many students apply to be assessed as estranged from their parents if their parents live in a different country. However, your parent(s) living abroad does not automatically mean that you are estranged and should be assessed as independent. Remember, you can only claim to be estranged from your parents if you have not communicated with them for a substantial period of time, and you consider this estrangement irreconcilable. Student Finance assessors take each case on its own merits and are allowed to make exceptions on the period of no contact where the circumstances are severe and clearly irreconcilable. For example where there has been a forced marriage or female genital mutilation order put in place, or there has been a restraining order put in place to prevent them from harming you. A supporting document or statement is a letter or statement of evidence by a an independent person with good standing in the community which satisfies Student Finance England, Wales or Northern Ireland that you are irreconcilably estranged from your biological, adoptive or only living parents. The operatives will look at these documents and make a decision about your case. If you are asking to be considered as independent and ‘irreconcilably estranged from parents’ you must send at least one primary supporting statement from an independent person with good standing in the community. This person should normally have known about your situation for a substantial amount of time, and can verify that you don’t have contact with your biological, adoptive or only living parents. This person must not be related to you or be a close friend of the family. For example, if you are in care or have recently left care this independent person could be your case worker, social worker or housing support officer. Or if you are at (or recently left) school or college it could be a teacher or tutor who has known you and about the difficult situation with your parent(s) and your subsequent estrangement. A letter from a member of staff at your school or college which explains that he/she knew about the difficult relationship whilst you were at school and your subsequent estrangement. A letter from your doctor explaining that you have consistently and historically reported difficulties associated with your estrangement. A letter from a social worker or local authority that shows they were aware of your difficult situation and/or they allocated you a child protection order. A letter from a counsellor or an organisation such as Stand Alone, National Association of People Abused in Childhood or Karma Nirvana that can vouch for the fact you have been seeking support for your estrangement or disownment. 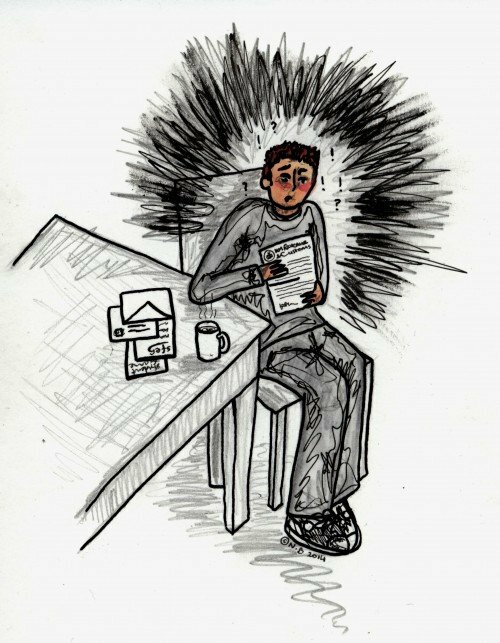 A letter from a housing support worker that may have helped you find accommodation after you left home. A letter from a member of the clergy, a rabbi or imam that explains that he/she was aware of the difficulties in your family and your subsequent estrangement. Any court order that shows you have legally tried to distance your biological or adoptive parents through fear of harm or intimidation. A letter from other members of your family, a family friend or romantic partner on its own. However, you could send this as secondary supporting evidence together with other letters to provide more details around your circumstances. A letter from an independent person that states you have simply told this person about your circumstances recently A letter from anyone that has not known you for a substantial period of time. For example, statements from your university student support officer won’t be valid as evidence in the first year of your course. A letter from your parents that declares the estrangement. This would be considered a communication within the last 12 months, and is not valid to verify your estrangement. Any statements that would compromise your personal safety. For example, if there is a risk that the person providing the supporting statement might tell your family where you live, which may then lead to physical violence or forced marriage. Any statements whereby the process of attaining the statement would present significant harm to your emotional wellbeing. For example, if you have a history of depression, anxiety or other mental health difficulties and the process of finding evidence would trigger a significant trauma or a psychotic episode. You will never be expected to directly explain the circumstances that led to the estrangement in any supporting statement. It can be helpful for the Student Finance operative to know about your situation. However, this is not a mandatory requirement in England or Wales. Always ask for your supporting statements on headed paper where possible, and they should show a telephone number for the operative to reach him/her if they have further questions. If the person writing the statement has retired or left their role, do ask them to explain this in the letter. It’s also useful to reference a contact at the workplace that a Student Finance England or Wales assessor can contact to verify their position. Supporting statements which show you have very recently told an independent person about your situation are not acceptable as evidence for Student Finance. The person you ask must normally have historic knowledge of your situation, as well as being able to verify that you have not had written or verbal contact with your parent(s) for a substantial period of time. If you don’t have supporting documents, don’t panic! It’s wise to explain this in writing to Student Finance England, Wales or Northern Ireland when you apply and, if you feel comfortable, explain some of the circumstances that will help the operative build a picture of the estrangement. They will direct you regarding which further evidence you might be able to supply and what they need you to do. If you are in this situation, it is also advisable to contact your dedicated person or team at your current or first choice university, who may be able to help you to find the right person to provide a supporting statement. You can find the right person to get in touch with by clicking here. They will be able to help you to explore the situation with you and direct you to supporting statements you can supply. What happens if my parents are divorced? If your parents are divorced, and you become estranged from one parent, you would be expected to use the financial details from the household of the other biological parent providing you have contact with that parent. This is the case even if you only have very minimal contact with this parent. If something happens to the parent that is supporting you during an academic year and they unfortunately pass away, you would be considered independent for the rest of that year. If you are irreconcilably estranged from your other living biological parent you would need to prove estrangement to be considered independent for the remaining year/s of your course. We are aware that this may be a difficult and painful experience, and you should make sure that you seek support whilst proving your independence after the death of a relative.You can find the right person to get in touch with by clicking here. They will be able to help you to explore the situation with you and direct you to supporting statements you can supply to prove the estrangement. If you have been working and financially supporting yourself independently of your biological, adoptive or only living parents for thirty six months prior to the start of your course, you are eligible to apply for independent status on the grounds of ‘self support’. The three years does not have to be continual, and it can be broken up. How can I show that I have been financially independent? You will need to provide evidence that you are earning enough to be financially independent. You can do this by supplying P60s or payslips for the thirty six months you have been supporting yourself, statements of earnings from HMRC or employer, a statement from the job centre indicating the periods of time you were receiving benefits. 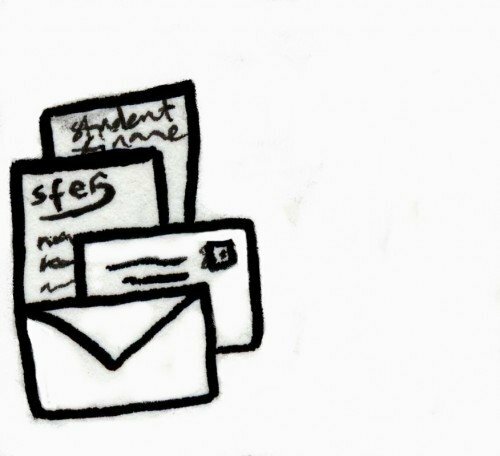 Although periods on benefits count towards showing you have been financially independent, do not only provide benefits awards letters, as on their own, these don’t summarise your income for the thirty six months prior to the start of your course. If you’ve had gaps in employment, you should send in material that shows your earnings and how you were supporting yourself during these gaps. The income threshold for self-support is assessed on a case-by-case basis but you are still advised to apply if you earn a small income but are genuinely completely financially independent. You can send in further clarifying documents to show your circumstances. For example, your income may be low because you have been working in a job that provides you with accommodation, you may have particularly low rent or you may have been claiming benefits that give you a lower income. If you were looked after by a local authority throughout any three month period ending on or after the date on which you turned 16, and before the first day of the first academic year of your course. A letter from a social worker or support worker can be used as confirmation that you are a care leaver and your period in care. If you have been given a residency order that expires on your sixteenth birthday, you must also send in evidence that you were in local authority care for three months after your sixteenth birthday to be considered as a care leaver. If you have been in care, and have contact with your parents in the years before leaving for University, you can be assessed on your parents’ income and won’t be considered independent. What happens if I don’t fit this definition? If you were in care for less than three months after your sixteenth birthday, or for a period of time before your sixteenth birthday, but don’t have a relationship with your parents, you should apply for independent status using the ‘estranged from parents’ route. You can use a reference from your social worker to explain your time in care and their knowledge of your subsequent estrangement. If it is not practical to contact your parents for details of their income, you may be awarded independent status. This is typically awarded to refugees, who may not know the location of their parents or for students who have parents living in countries where it is too dangerous for you to contact them for details of their income. However, if your parent has a significant mental health problem or health issue that would make it impractical or dangerous for you to contact them, or would put them in danger, you should tell Student Finance when you send your form. They will inform you what to do next and what you will need to supply to support your application. Have you made your circumstances clear? If you feel comfortable enough, do explain your family situation in your own words and make a timeline of key events. This may help Student Finance to identify the right supporting statements which you can provide to clarify your situation. © 2015. Stand Alone Charity.